An Intellectual Property (IP) expert explores India’s momentum and platforms to meet the challenges of IP rights head on. India continues to maintain its position as the world’s fastest-growing economy, a trend that coincides with the implementation of the nation’s first National Intellectual Property Rights (IPR) Policy and a huge upswing in IP applications in the country. In the first quarter of the 2018-19 fiscal year ending June 30, India’s gross domestic product (GDP) grew 8.2 per cent, outpacing its 7.7 per cent growth in the previous quarter. In comparison, China, the world’s second largest economy, reported a 6.7 per cent growth in GDP in its first quarter. At the same time, registrations for trademarks in India increased by an astounding 284.5 per cent during calendar year 2016–17, the latest year for which statistics are available. According to the WIPO’s World Intellectual Property Indicators 2017 report, India was ranked fifth in the world in terms of the number of trademark filings. What is made clear by these figures is the significance of the Indian government’s increased recognition of IP, including trademarks, as a contributor to economic growth. Trademarks and other IP also encourage vibrant competition, which benefits consumers, job holders, brand owners, and society at large, and enables consumers to make quick, confident, and safe purchasing decisions. Extensive research undertaken by the International Trademark Association (INTA) illustrates the impact that trademarks and IP have on regional economies. In recent studies, for example, INTA found that the contribution of trademark-intensive industries, defined as industries with an above average use of trademarks such as fashion, food and beverages, media technology, and pharmaceuticals, to GDP varied between 17 and 50 per cent in Southeast Asia (Indonesia, Malaysia, the Philippines, Singapore, and Thailand), and between 10 and 21 per cent in Latin America (Chile, Colombia, Mexico, Panama, and Peru). In 2017, India’s 50 top brands grew by 21 per cent in value to an unprecedented $109.4 billion, according to BrandZ, a brand equity database. This included growth of local brands, 38 of which are now part of India’s top 50, compared with 35 in 2014. Among the Indian government’s initiatives, the National IPR Policy, put in place in 2016, recognises the economic necessity of fostering increased creativity and innovation. Actions taken since the implementation of the policy raise the standards for which IP rights are secured for brands and the tools available to enforce those rights. Other initiatives to bolster economic growth include Make in India, implemented to transform India into a global design and manufacturing hub, and Digital India, aimed at increasing internet connectivity and making the country digitally empowered in the field of technology. Other noteworthy changes for trademark protection in India include amendments to the country’s Trademark Rules aimed at simplifying and expediting procedures, increasing staff support at the Indian Intellectual Property Office (IP Office), digitization of records, increased engagement with stakeholders with an automated feedback mechanism, and improved harmonization with various other Intellectual Property Offices. As part of INTA’s work around the world to protect and promote IP, the Association has recognised India’s economic growth and has actively been collaborating in the government’s efforts to strengthen the IP landscape – both at the policy and the public level. INTA’s main focus in India has been to provide support for the government and the IP Office to successfully fulfill the objectives of India’s National IPR Policy and to assist brand owners and IP practitioners in the efficient administration and protection of trademark rights. In pursuit of raising awareness of IP through outreach and promotion under India’s National IPR Policy INTA has been collaborating with the Cell for IPR Promotion and Management (CIPAM), which coordinates and conducts IPR-related events for school children extensively throughout India. INTA has created outreach materials for this campaign (www.cipam.gov.in). For the past eight years, an INTA Presidential delegation has traveled to India annually — a significant event on the Association’s calendar. The delegation, composed of INTA leaders and members, meets with government representatives and trademark authorities to discuss topical issues that are having an impact on India’s trademark and IP landscape, and works to further strengthen existing robust partnerships with Indian officials and relevant IP constituents by identifying new and effective ways to work together to advance IPR in India. At INTA’s eighth delegation to India last March in New Delhi and Mumbai, INTA CEO Etienne Sanz de Acedo joined me along with INTA corporate and associate members to participate in various interactions with government officials, including the IP Office, judges, Indian customs officials, officials from the Department of Industrial Policy & Promotion (DIPP), IP attachés, and representatives of relevant industry and IP associations. In New Delhi, the delegation met with Ramesh Abhishek, Secretary — Department for Industrial Policy and Promotion (DIPP), Rajiv Aggarwal, Joint Secretary — DIPP, and the entire CIPAM team. INTA leaders engaged with the Indian officials on topics including brand valuation, counterfeiting, piracy, and the relationship between intellectual property and small to medium-size enterprises (SMEs). In addition, INTA hosted two educational events: a workshop, “A Brand New Day—Preparing for the Present and Future of Trademarks,” was held in New Delhi and was attended by 130 corporate representatives and IP practitioners; a roundtable, “Trademark Enforcement in India—Challenges and Opportunities,” was held in Mumbai and included members of the delegation as well as eminent speakers from the bench, bar, industry, and enforcement agencies. On September 29, in Bangalore, INTA hosted a roundtable, “The Future of Intangibles”, which focused on emerging issues such as the impact of the EU General Data Protection Regulation (GDPR) and the Indian Personal Data Protection Bill of 2018, currently in the planning stages. The impact of technology on IPR and businesses worldwide is significant, allowing brands to launch and grow faster than they have before — thus increasing the value of IP as part of a company’s portfolio of intangible assets. This brings both opportunities and challenges, but the key to becoming and staying successful is for brands to be flexible and have the ability to change. India has made significant progress in its development of IP rights in recent years. Currently, the IP Office is using various technological tools in its day-to-day operations, including video conferencing for hearings, a mobile app for Android users, and comprehensive e-filing processes. Further realising the potential in the latest technologies that have an impact on the IP world, the IP Office reports plans to use artificial intelligence, blockchain, and other innovations in its patent application processing system; it has also recently delivered an open invitation to interested and eligible vendors to submit proposals to incorporate these innovations. Also on the technology front, CIPAM recently collaborated with the Atal Innovation Mission (AIM)—National Institution for Transforming India (NITI Aayog) to raise IPR awareness and to encourage young student innovators by conducting IPR sessions in AIM’s Atal Tinkering Labs. AIM is a flagship initiative set up by NITI Aayog to promote innovation and entrepreneurship across the country, and it created Atal Tinkering Labs to promote an innovative and creative mindset in schools. As the globalisation of digital technology continues to increase the speed of innovation and how brands and consumers interact, IP professionals will also need to stay ahead of the challenges to come. The good news is that India, which has achieved its world leadership as a growing economy through its ability to implement effective change rapidly, now has the momentum and platforms to meet those future challenges head-on. 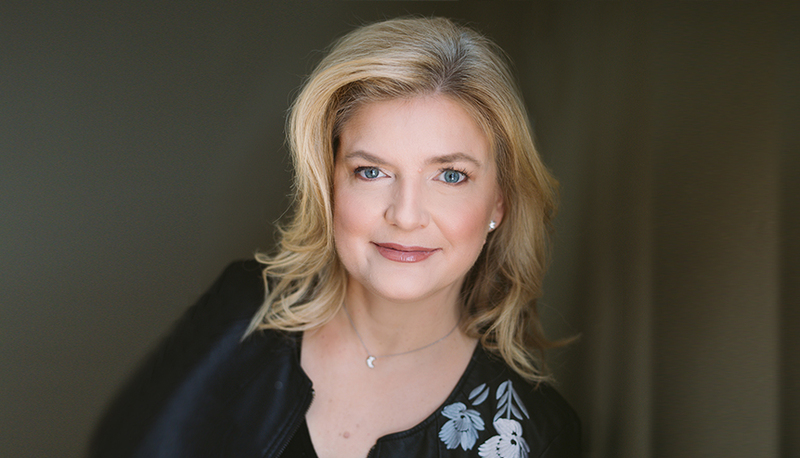 Tish Berard is President of the International Trademark Association (INTA), a global association of brand owners and professionals dedicated to supporting trademarks and related intellectual property to foster consumer trust, economic growth, and innovation. Founded in 1878, INTA is headquartered in New York City, with offices in Brussels, Santiago, Shanghai, Singapore, and Washington DC, and representatives in Geneva and New Delhi.